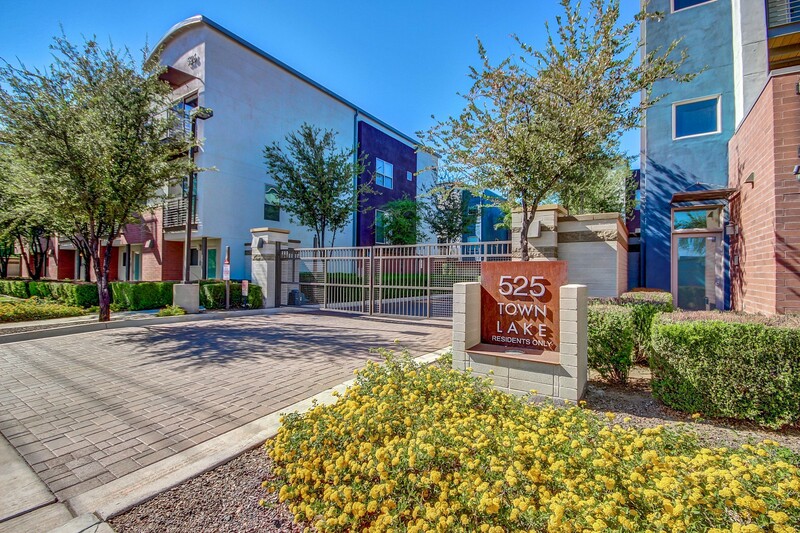 The 525 Town Lake Condominiums are a nice gated community built by Pulte Homes in 2006. The complex is located just West of Mill Avenue on the South side of Rio Salado / Tempe Town Lake. 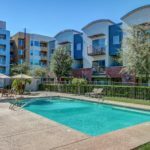 The location is very close to a TON of nearby conveniences. 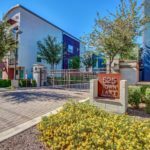 Some of the things nearby consist of the beautiful Tempe Center for the Arts, Phoenix Sky Harbor International Airport, easy freeway access, restaurants, job centers, the Phoenix Zoo, hiking and biking trails, Arizona State University and so much more! The 525 Town Lake Condominiums feature just 67 three story units averaging a little over 1400 square feet. You will find 2 car ( tandem ) garages, well landscaped grounds with a community pool and spa along with ample parking within this community. 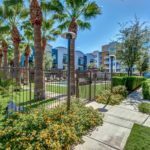 Finishes in most of the units include granite counter tops, stainless steel appliances, upgraded flooring etc. 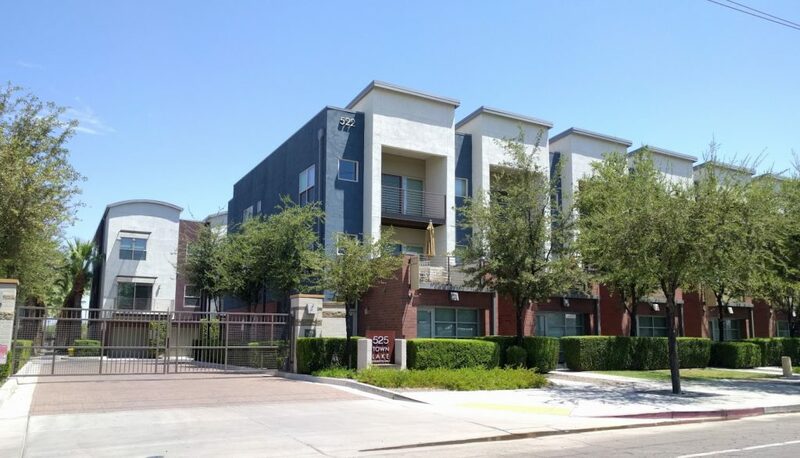 The look and feel of the homes and the neighborhood is upscale and a good fit for professionals, students and anyone looking for nice homes in another great Tempe location. The photos below show the south gate which is accessed from the south side of the complex. You can also see the community swimming pool and well kept grounds. 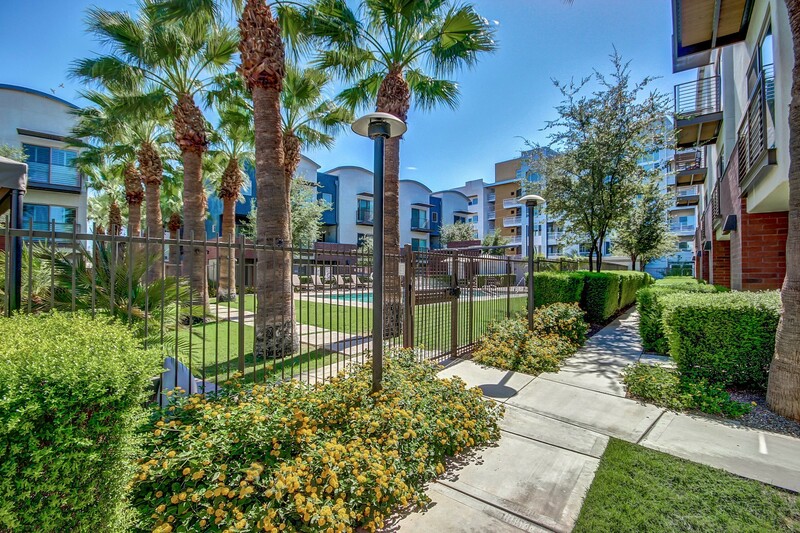 The main entrance is located at the North side of the community and can be accessed from Rio Salado. 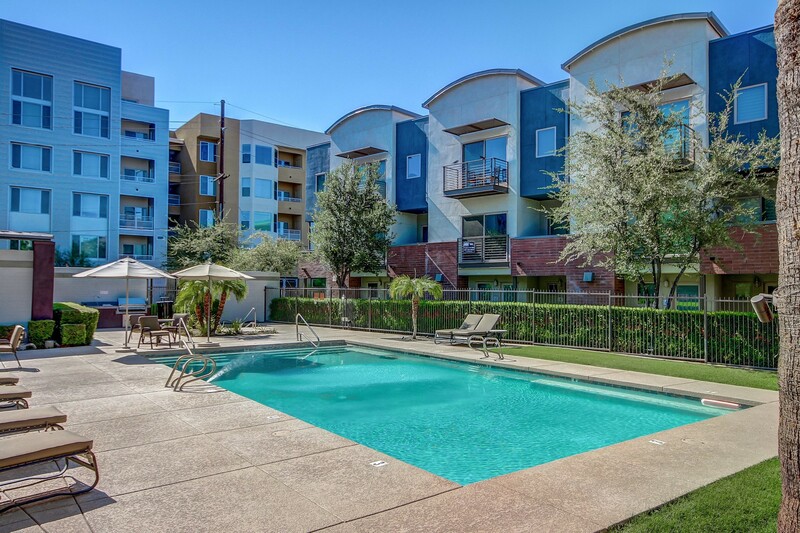 The main address for the community is 525 W Lakeside Drive, Tempe, AZ 85281. One of the unique features of the community is the fact that the two southern-most buildings facing 1st Street are zoned for a Live / Work use. 522 W 1st Street and 526 W 1st Street are part of the same community, but they each have a private street-facing entrance where residents can operate their own business. This unique zoning can be a great opportunity for people who want to truly live in a Live, Work, Play environment. AND, the live/work units allow for residential financing which can be a real bonus for a small business owner, too! Take a look at this map of the area to get a feel for everything that is near these condominiums. Some favorites that are VERY close are The Lodge, Culinary Dropout, Press Coffee and The Shop Beer Co! Seriously, you are going to LOVE living here. If there is anything currently for sale at 525 Town Lake it will be displayed below. If not, please feel free to let us know if you would like to be notified of any new properties as they become available. Just call Nick Bastian at Realty Executives for more information about this great community!